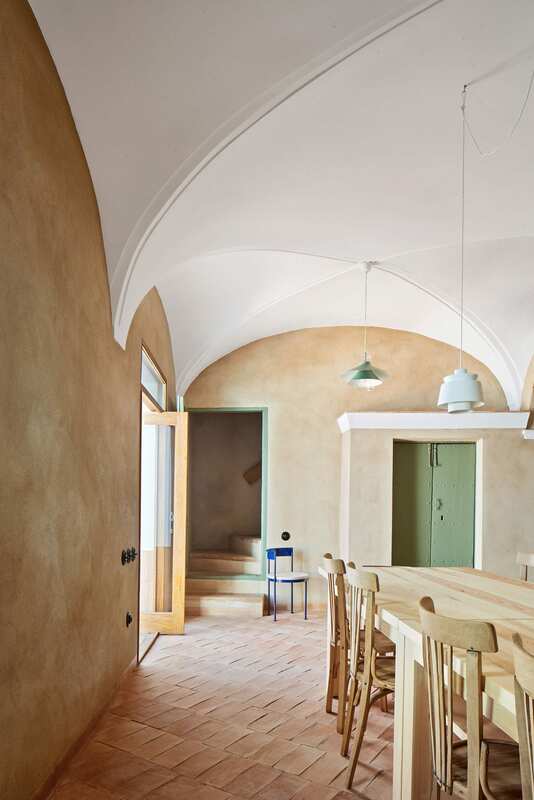 What do you picture when imagining a family run guesthouse in semi-rural Spain? Ornate double doors? 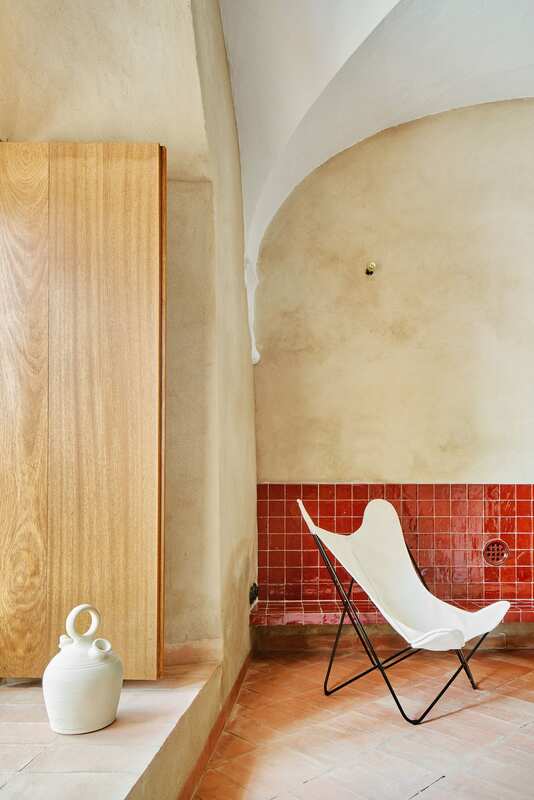 Floors paved with handmade tiles? Maybe a stray domestic chicken running around? 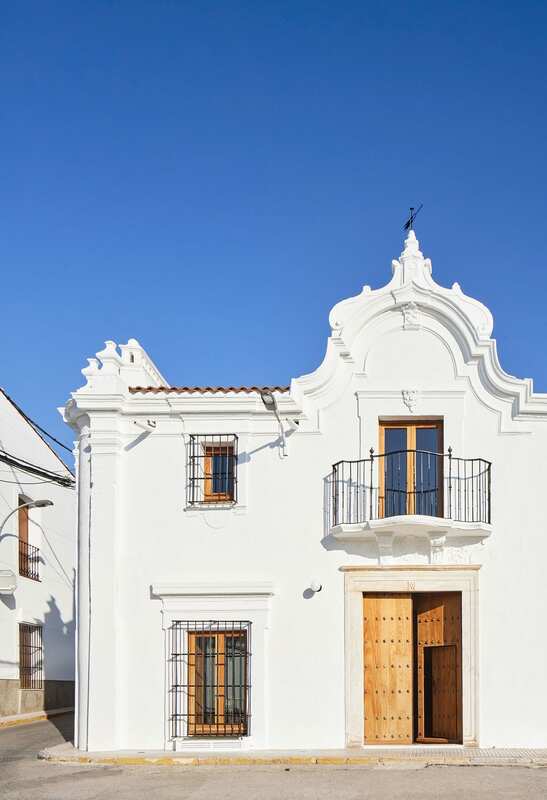 Located in a wine-growing town in Spain’s Extremadura region, La Hermandad de Villalba is essentially picture perfect. 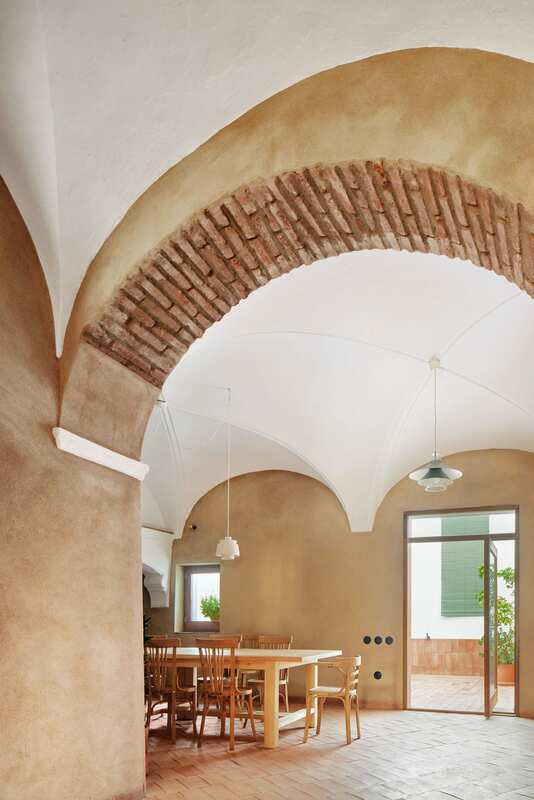 Madrid-based studio Lucas y Hernández-Gil overhauled the 18th-century building, making design-forward updates while retaining the original features that had become dilapidated over time. See more projects by Lucas y Hernández-Gil on Yellowtrace here. 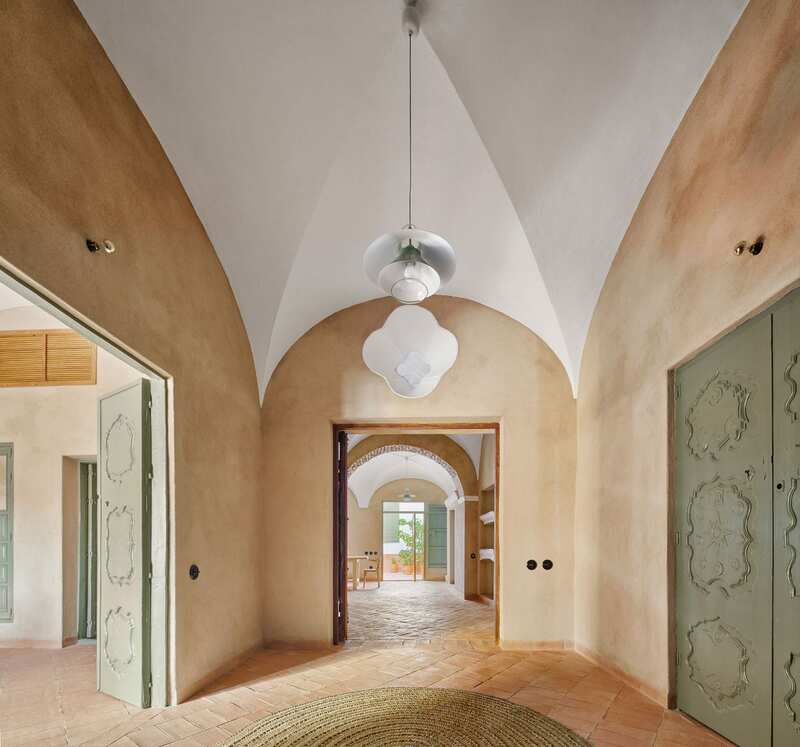 The entrance of the two-storey house opens onto the main square of the town Tierra de Barros, with a small courtyard to the rear. The ground level adjoins all the common entertaining spaces including living room, kitchen, and dining room. 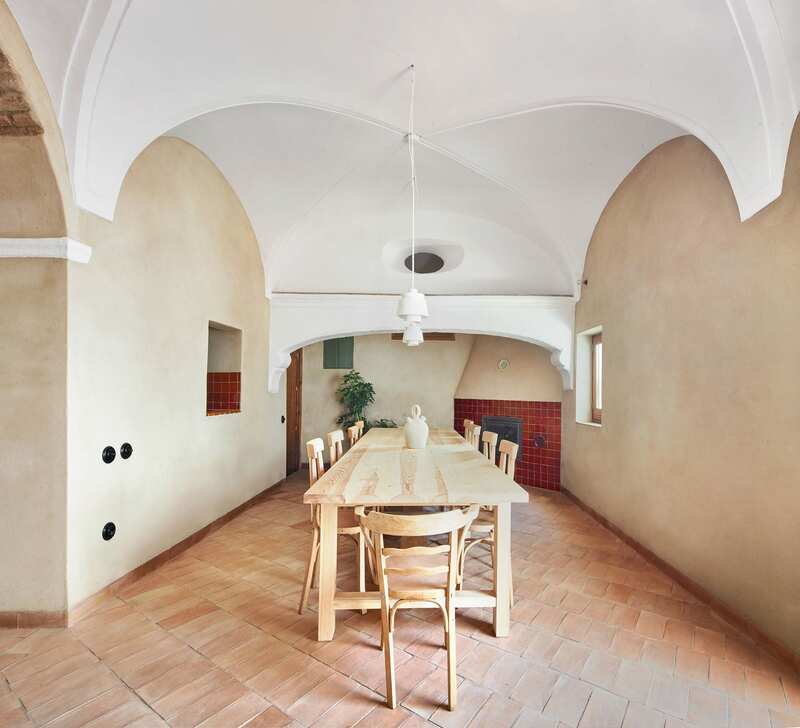 Simple reinforcements such as a coat of raw lime mortar for the walls and lime wash for the vaulted ceilings was all the sprucing up that was required. 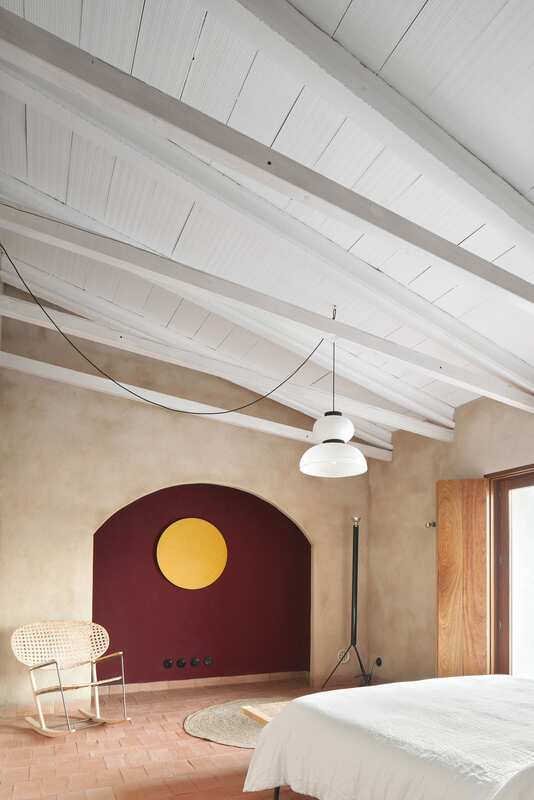 The original clay tiles were sadly beyond repair, so local potters were tasked with creating new ones, colour-matching them to the surrounding deep red terrain. 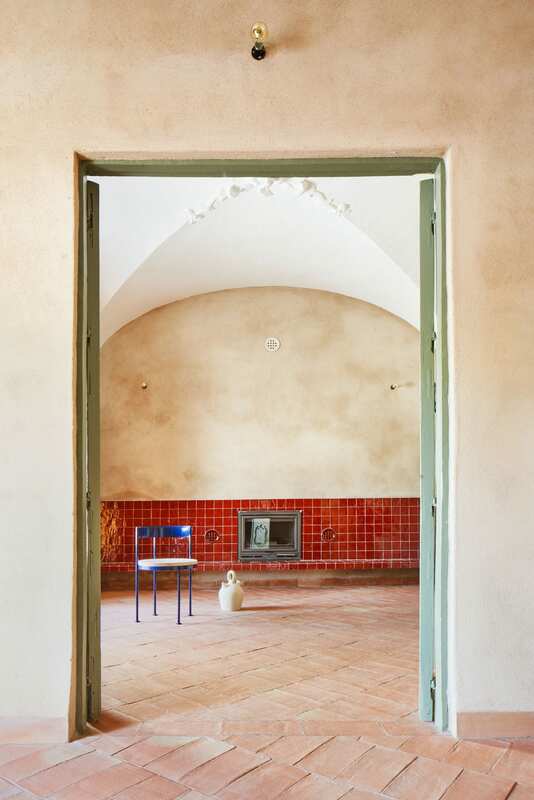 The same tiles are used for both the indoor living spaces and outdoor courtyard. 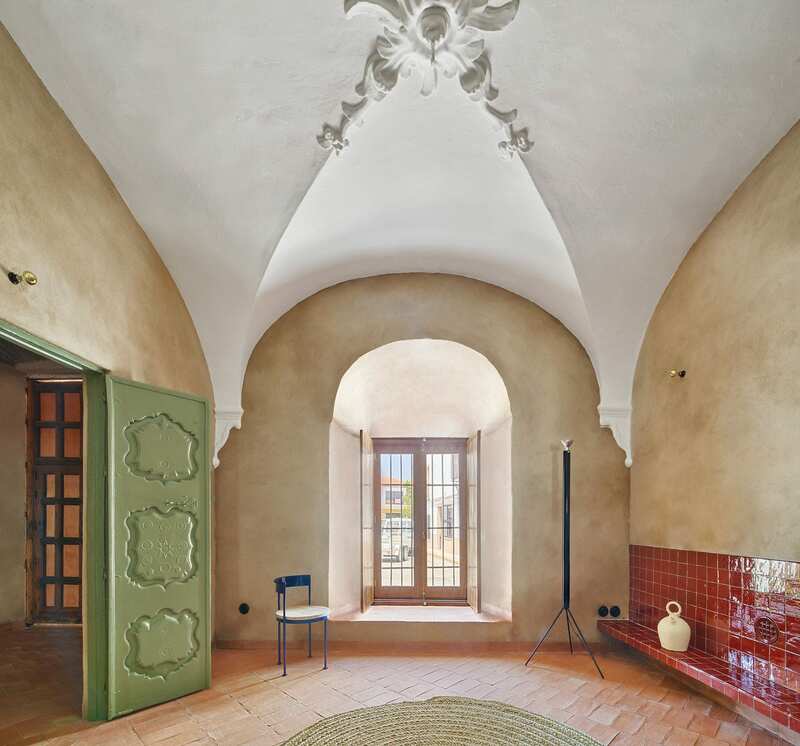 Original timber double doors were painted pistachio green, both enhancing their ornate carvings and paying homage to the abundant vineyards that surround the property. 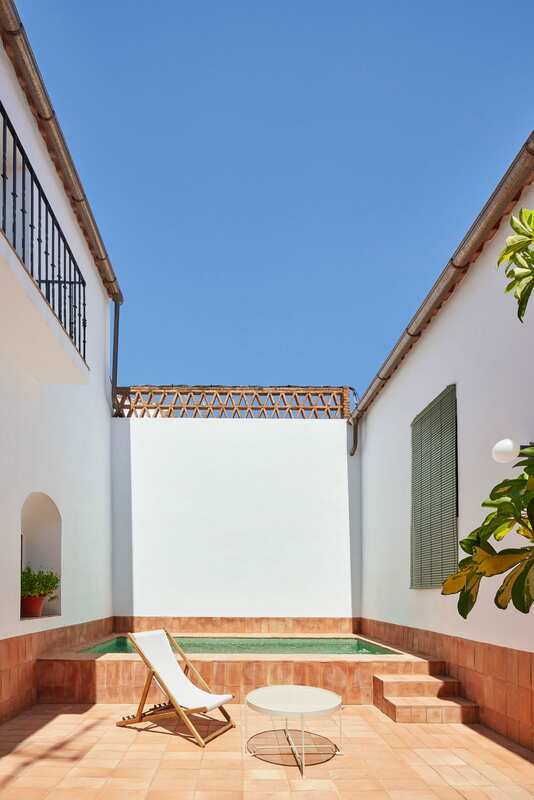 New doorways were also created to let in more light, and allow guests easier access to a small pool in the courtyard. 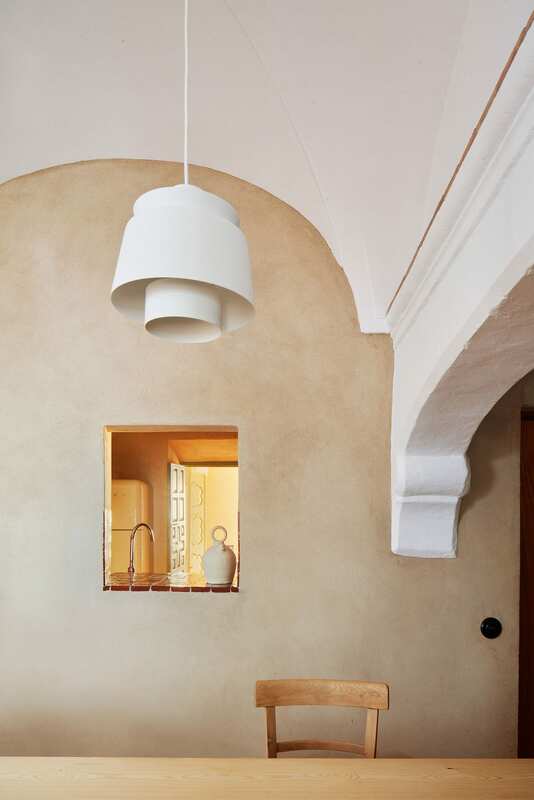 Originally a larder used to cure meats, the second floor was reconfigured as four bedrooms for guests. 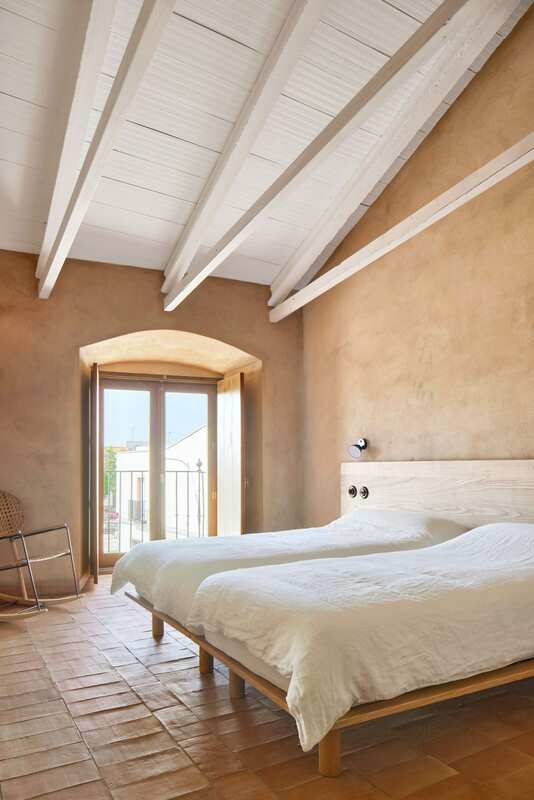 The rooms are decorated largely in keeping with the rest of the rustic interior, with rattan furnishings, straw mats, and simple linens. 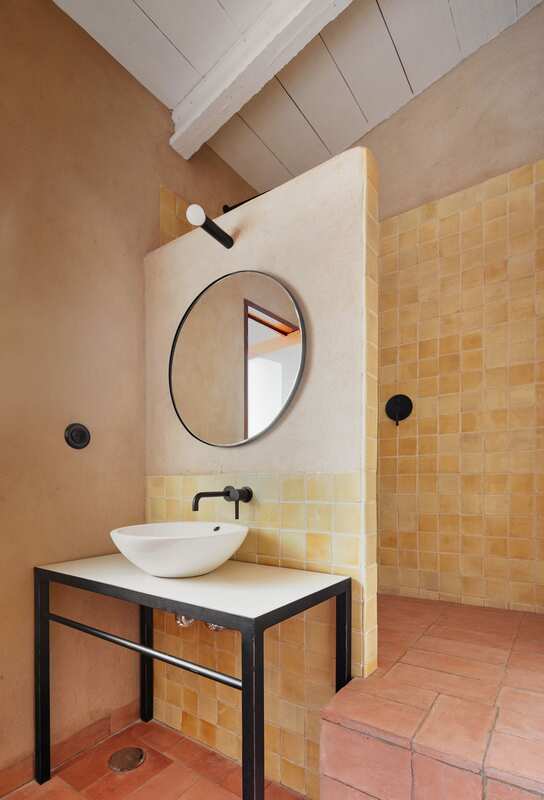 Subtle contemporary touches, such as matte black fixtures in the bathrooms, belie the recent revamp. Perfect for those who are after a rural getaway but want to keep it chic. 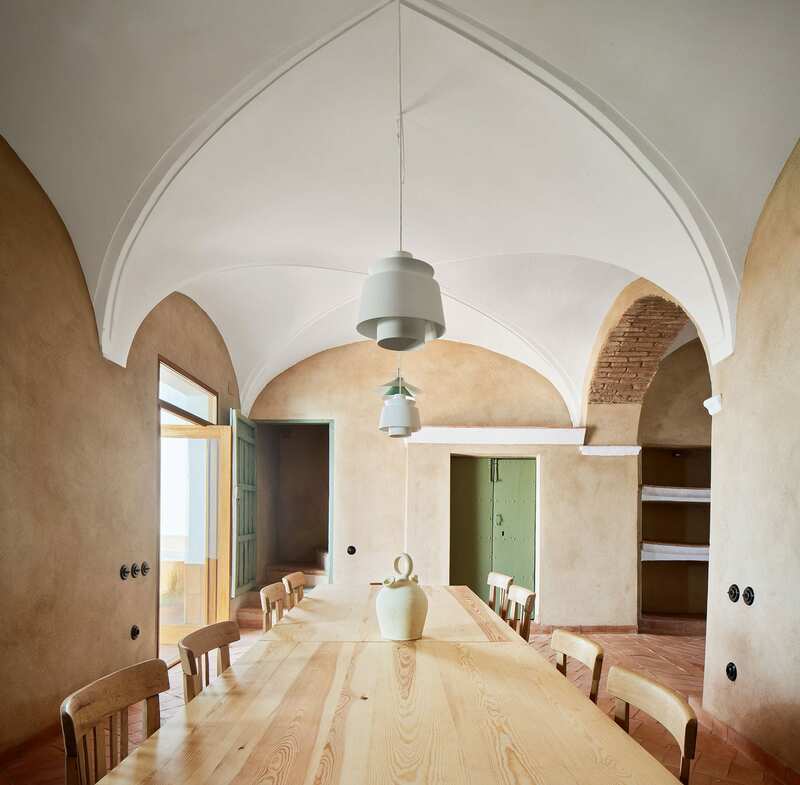 The post Rural Guesthouse in Spain by Lucas y Hernández-Gil. appeared first on Yellowtrace.